All statements included or incorporated by reference in this communication, other than statements or characterizations of historical fact, are forward-looking statements within the meaning of the federal securities laws, including Section 27A of the Securities Act of 1933, as amended, and Section 21E of the Securities Exchange Act of 1934, as amended. 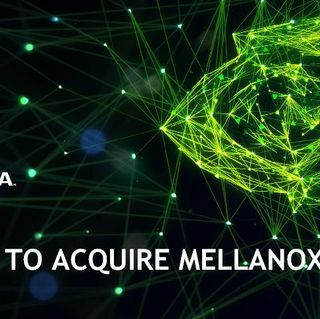 These forward-looking statements are based on NVIDIA’s current expectations, estimates and projections about its business and industry, management’s beliefs, and certain assumptions made by NVIDIA and Mellanox, all of which are subject to change. Forward-looking statements can often be identified by words such as “anticipates,” “expects,” “intends,” “plans,” “predicts,” “believes,” “seeks,” “goals,” “likely,” “might,” “project,” “target,” “estimates,” “may,” “will,” “should,” “would,” “could,” “potential,” “continue,” “ongoing,” or similar expressions, and variations or negatives of these words. 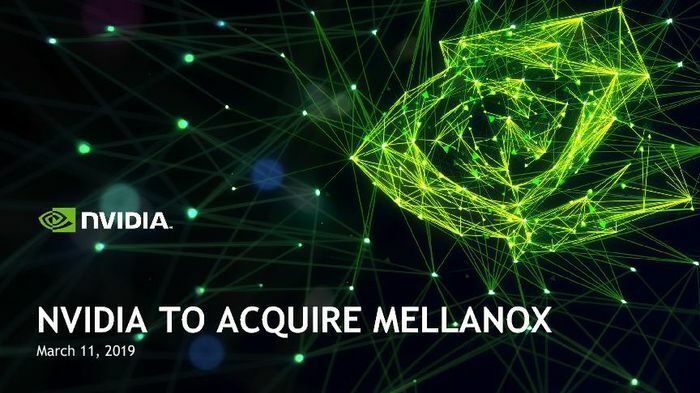 Certain statements in this press release including, but not limited to, statements as to the proposed transaction and acquisition of Mellanox by NVIDIA, including statements regarding the benefits of the transaction and what the combined companies will offer, the timing, price and closing conditions of the transaction; statements regarding the companies’ products and markets; the transaction uniting two of the world’s leading companies in high performance computing; data and compute intensity of modern workloads growing exponentially; CPU performance advances slowing, while computing demand is surging; the adoption of accelerated computing with GPUs and accelerated networking; datacenters being architected as giant compute engines with millions of compute nodes and the performance and interconnections therein; NVIDIA optimizing performance at the datacenter scale and Mellanox’s technology enabling this to happen; the transaction resulting in higher performance datacenters that will provide greater utilization and lower operating costs to customers; AI, data science and computer users fueling skyrocketing demands on the world’s datacenters; holistic architectures that connect fast computing nodes solving the demand issue for datacenters; the combined companies’ offerings, including technology for the next-generation datacenters and working with the leaders of Mellanox to invent the computers of tomorrow; combining the companies being a natural extension of their partnership and being a great fit; the combination enabling the creation of powerful technology and fantastic opportunities; the benefits of the companies’ common culture and it enabling a seamless integration; the world’s top cloud service providers using the companies’ products; NVIDIA continuing to invest in Israel; Israel being one of the world’s most important markets for innovation; customer and sales support not changing as a result of the transaction; the expectation that the transaction will be accretive; NVIDIA’s intention to fund the transaction through cash on its balance sheet; and NVIDIA’s continuation of its capital return program are forward-looking statements that are subject to risks and uncertainties that could cause results to be materially different than expectations. These forward-looking statements are based on current expectations and are not guarantees of future results. Many factors could cause actual future events to differ materially from the forward-looking statements in this document, including the following, among others: the risk that the transaction may not be completed in a timely manner or at all, which may adversely affect the companies’ business and the price of its stock; uncertainties as to the timing of the consummation of the transaction and the failure to satisfy the conditions to the consummation of the transaction, including the receipt of certain governmental and regulatory approvals; the potential for regulatory authorities to require divestitures, behavioral remedies or other concessions in order to obtain their approval of the proposed transaction; the occurrence of any event, change or other circumstance that could give rise to the termination of the merger agreement; the effect of the announcement or pendency of the transaction on NVIDIA’s business relationships, operating results, and business generally; delays, disruptions or increased costs in the integration of Mellanox’s technology in existing or new products; Mellanox shareholders may not approve the transaction; expected benefits and other financial benefits of the transaction may not be realized; integration of the acquisition post-closing may not occur as anticipated, and the combined companies’ ability to achieve the growth prospects and synergies expected from the transaction, as well as delays, challenges and expenses associated with integrating the combined companies’ existing businesses may incur; litigation related to the transaction or otherwise or limitations or restrictions imposed by regulatory authorities may delay or negatively impact the transaction; unanticipated restructuring costs may be incurred or undisclosed liabilities assumed; attempts to retain key personnel and customers may not succeed; risks related to diverting management’s attention from NVIDIA’s ongoing business operations; the business combination or the combined company’s products may not be supported by third parties; actions by competitors may negatively impact results; potential adverse reactions or changes to business relationships resulting from the announcement or completion of the transaction; there may be negative changes in general economic conditions in the regions or the industries in which NVIDIA and Mellanox operate; and other risks described in NVIDIA’s and Mellanox’s filings with the Securities and Exchange Commission (SEC). In addition, please refer to the documents that NVIDIA and Mellanox file with the SEC on Forms 10-K, 10-Q, and 8-K. These filings identify and address other important risks and uncertainties that could cause events and results to differ materially from those contained in the forward-looking statements set forth in this document. These forward-looking statements are not guarantees of future events performance and speak only as of the date hereof, and, except as required by law, NVIDIA and Mellanox disclaim any obligation to update these forward-looking statements to reflect future events or circumstances.